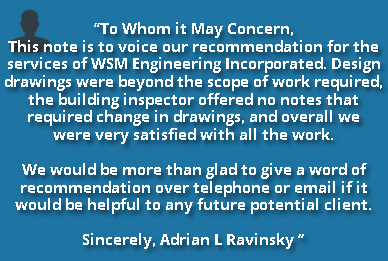 At WSM Engineering Inc., our company goal is to be a prime example of how quality and customer satisfaction lead to growth and business success. We have begun with tools and the knowledge to deliver cutting edge designs that never fail to meet the customer’s expectations. Please take the time to learn and find out who we are and how we can help meet your mechanical and electrical engineering needs. It might not be an approach you’d expect from a building systems design firm, but it’s one that you’ll grow to value. With our creative input at the start of a project, we can help to develop fresh ways to satisfy the needs of clients and occupants, enhance environmental sustainability and keep a tight rein on budgets and timelines. Adopting a holistic perspective, we offer fully integrated mechanical and electrical design services to deliver high performance building solutions for every project. WSM Engineering is an incorporated company, practicing in professional engineering, located in Mississauga, Ontario. The principal of the company is W.S. Matthews, PEng., CET., LEED(AP)., PMP having about 30 years of experience in the industry. The company was registered effective April 11, 2010. The company is licensed under a Certificate of Authorization by the Association of Professional Engineers Ontario to practice engineering in the province of Ontario in accordance with the provisions of the of Professional Engineers’ Act. WSM Engineering’s liability insurance provider is BMS Canada Risk Services Ltd., endorsed, designed and delivered exclusively to OSPE members. 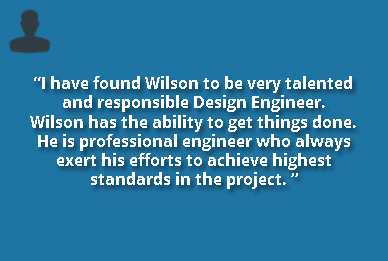 A results-oriented and experienced mechanical project engineer, Wilson S. Matthews specializes in high and low rise building designs for HVAC, plumbing and fire protection systems. He has designed systems for residential, commercial, institutional, industrial and retrofit buildings. He is a motivated team player, proactive, involved in multitask work, taking initiatives and working independently. He’s experienced in providing energy-efficient solutions and cost-effective designs while meeting project deadlines. He aims to undertake and meet challenges in designing both conventional design systems as well as in applying LEED design criteria of today’s trends in order to save our planet from energy crises, global warming and lessening our footprint by creating what is known as green buildings for the better future of mankind. Undergraduate Degree: B. Eng. in mechanical engineering branch of University of Mysore at National Institute of Technology Karnataka, Mangalore, India, Passed with First Class and credentials were certified by WES, Toronto. Attended and passed courses held by Da Vinci Polytechnic School, Miss. List of projects designed and details can be presented upon request. WSM Engineering is a firm with definite resolutions and commitments, dedicated to provide excellent professional engineering services, complying with industry standards, providing high level of quality and performance, producing competitive designs, treating each project as an individual challenge, incorporating improvements and instituting problem solving techniques. Our goal is primarily in meeting our clients’ requirements by applying the latest technology management tools, techniques, strategies, based on available resources and by providing positive environment for all stakeholders to participate and contribute to meet their requirements with due diligence. Finally, we are committed to completing our projects within budget and finished in time by complying with the quality standards and relevant codes in order to provide fully documented design engineering service deliverables that are acceptable for our clients.